U.S. oil rigs in service fell 6 this week as U.S.oil production is back at the all time high of 12.10 million bpd. US Natural gas rigs fell one. Oil rigs fell another 49 in Canada and Canadian natural gas rigs fell 7 with the freezing weather. Total North America rig count Fell 66 to 1121 down 35 year on year. Canada oil rigs fell 49 to 49 in the past week General Electric Co’s Baker Hughes reported. Shale production has been lifted by the smaller niche producer and majors like ExxonMobil. Last year Exxon CEO Darren Woods said $XOM is diverting about one-third of its drilling budget this year to shale fields that will deliver cash flow in as little as three years. The Texas Permian basin is the epicenter of activity. Since CERAWeek in Houston last year added to the drilling positive tone and appears we haven't looked back. 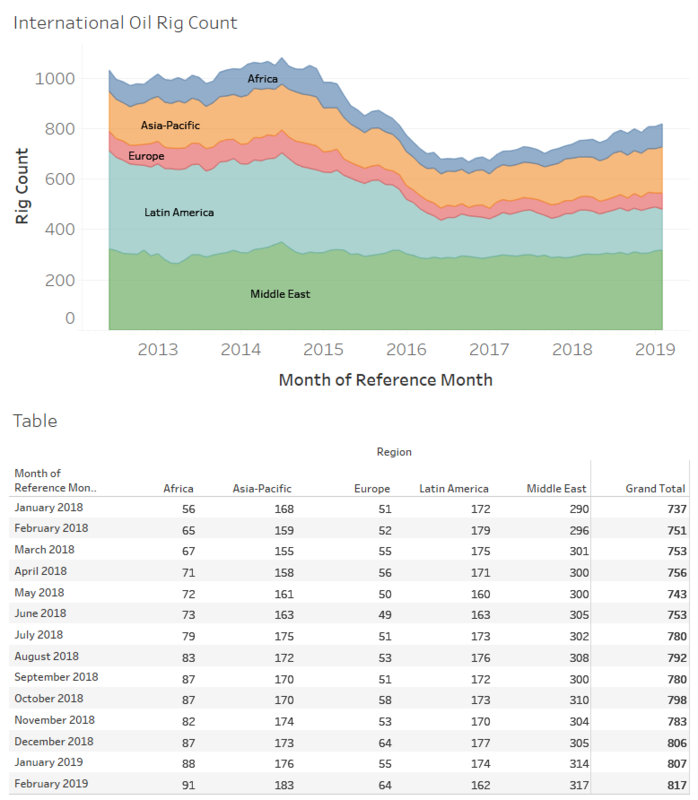 In early May analysts at Simmons & Co, the energy unit at U.S. investment bank Piper Jaffray, raised their forecast for the average total oil and natural gas rig count to 1,020 in 2018 and 1,135 in 2019, up from an earlier projection of 1,015 in 2018 and 1,130 in 2019. This pace forecasts the highest rig count since 2014 when it averaged 1,862 rigs. Plainly stated the shale industry is responsible for 100% of the growth. There are seven main shale oil producing regions in the US. Two of the biggest are Eagle Ford and the Permian Basin. Both of them are in Texas with the latter stretching over to New Mexico. These two are responsible for two-third of the country’s shale output and 45% of the total US production. 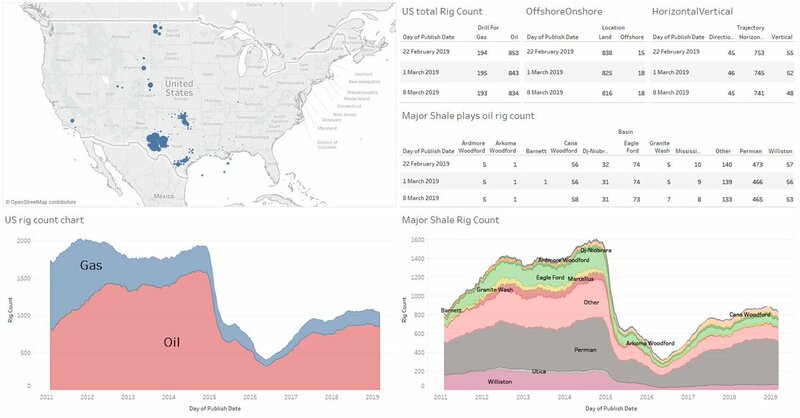 Between March 2015 and December 2016 total US shale production fell more than 800,000 bpd as the industry struggled with the aftermath of the 2014-2016 oil price sell-off. 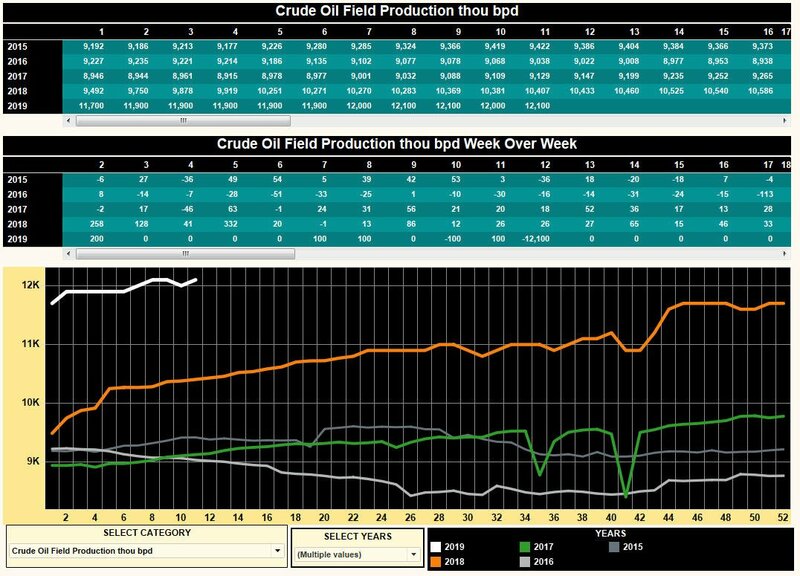 In this period output from the Permian Basin kept going higher relentlessly and rose from 1.89 mbd in March 2015 to 2.12 mbpd 21 months later.